Remember that giant blackout that hit the east coast back in 2003? One thing that I remember clearly is that, while my mother and I were able to make it home pretty easily, my sister was stuck in her office and, because all the cell towers were also down, she had no way to reach us for hours and hours. That is a problem that we still have not solved. The same thing happened during Hurricane Sandy in 2012, when over a quarter of cell towers were downed and power went out, cutting access to wifi and cell service for people in the 10-state area affected by the storm. That incident inspired Daniela and Jorge Perdomo to create goTenna, a device that enables smartphone users to communicate without cell towers, wifi routers or even satellites. The company announced a $7.5 million Series A on Wednesday, led by Walden Venture Capital, along with MentorTech Ventures, BBG Ventures, and Bloomberg Beta. The round also includes Wareness.io, a strategic fund focused on hardware; Kenneth Horowitz, a founder of Cellular One; and Howard Finkelstein, who ran data and telecommunications businesses for John Kluge’s Metromedia Company. WIth this round, goTenna has now raised a total of $9.3 million in venture capital. Founded in 2013, the Brooklyn-based goTenna's uses cases go beyong emergencies, and can be used any time a person is in a situation without adequate cell coverage, such as hiking in remote areas, traveling, attending crowded music or sporting events or living in rural areas. It can even be used for communicating privately. "GoTenna solves a universal problem that we’ve all had: the inability to send someone a message because there’s no cell reception or unreliable coverage," Daniela Perdomo, goTenna’s co-founder and CEO, told me. "To solve this, goTenna offers customers the ability to create their own off-grid network in under a minute, all by using two small devices that pair with your smartphone so you can send messages to and share your GPS location with others." Unlike field radios or sat-phones, which can cost more than $1,000, she said that goTenna is the least expensive alternative on the market. It also doesn't charge subcription fees. 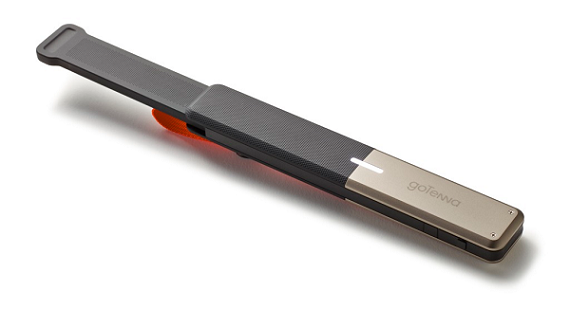 "GoTenna lets users use their existing smartphone the way you normally would. We’re not a separate communications device, like a walkie-talkie or satellite phone. In addition to enabling you to communicate with people within range, goTenna also lets you create your own networks, be it with other individuals or with specific groups, and each network is totally private, so you won’t get any interference or overlap like you would with a walkie-talkie." While goTenna only started shipping in October, it has already been purchased by tens of thousands of users. The company also announced on Wednesday that the devices, which were previously only available for purchase online via the company’s website, are now being launched into retail nationwide exclusively at REI, the nation’s largest consumer co-op and specialty outdoor retailer. "As we continue to scale, it was important for us to a build strategic partnership with a company who shared our same mission," said Perdomo. With the new funding, goTenna intends to grow its team. The company currently has 13 full time employees, and will likely be looking to hire about six to seven more this year. "We want to remain relatively nimble but we do need to build out the team, particularly on the non-engineering side now that we're in market," Perdomo said. It will also be used to continue to grow the company's pipeline, with new products and features for its existing devices. "GoTenna is a company, not a product. While our first product shares a name with the company, that makes sense because it's the building block of all products that will come after," Perdomo told me. "2016 is a really ambitious year -- we have lots of new features coming to our existing product including an SDK launching in about a month, but we're also developing new products to address demonstrated demand by consumers abroad as well as professional users." Ultimately, the goal for goTenna is to bring essential connectivity to totally disconnected people in emerging markets. "Our vision is to build low-power, low-cost, easy-to-use, totally reconfigurable communications from the ground-up for all use-cases because we believe people-powered networks are the most scalable."